The holidays, with all their gatherings and expectations are rife with conflict. It’s time to talk about setting boundaries with family. Are you dreading the holidays because of the conflicts you know you will face with extended family members, or because of the unpleasant challenges you know you will hear from your own family or your husband’s family? 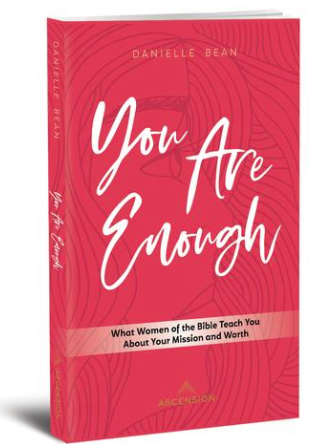 I am also sharing a bit of the content from my new book, You Are Enough. This week, we consider the story of Moses’ sister Miriam and the Pharaoh’s daughter, and what we can learn from them about the strength and value of cooperation and friendship among women. Remember, you are rejecting a behavior, you are not rejecting a person. Be clear that you love and respect them and you want a good relationship with them. You’re setting this boundary for the good of your relationship. Here are a few of the points I make on the important subject of setting boundaries with family, especially during the holiday season. Spend some time thinking about what your personal boundaries are, and deciding if they are reasonable and worth enforcing. Communicate your limits clearly and fairly to others. Your husband is a likely source of support in enforcing family boundaries, but a sibling or other family member can be your ally as well. 4. Expect some push back. Others’ anger does not mean you need to do anything. Expect it and be prepared for it. 5. Be cautious about what you share. Sometimes, others see our sharing, either in person or on social media, as an invitation to discuss things that shouldn’t be discussed in that time or place. If you’re not willing to discuss it, you probably shouldn’t share it in the first place. 6. Be ready to walk away. Once you have set boundaries, be prepared to enforce them if others do not respect them. You can always walk away from conversations or stay away from events where you feel disrespected.